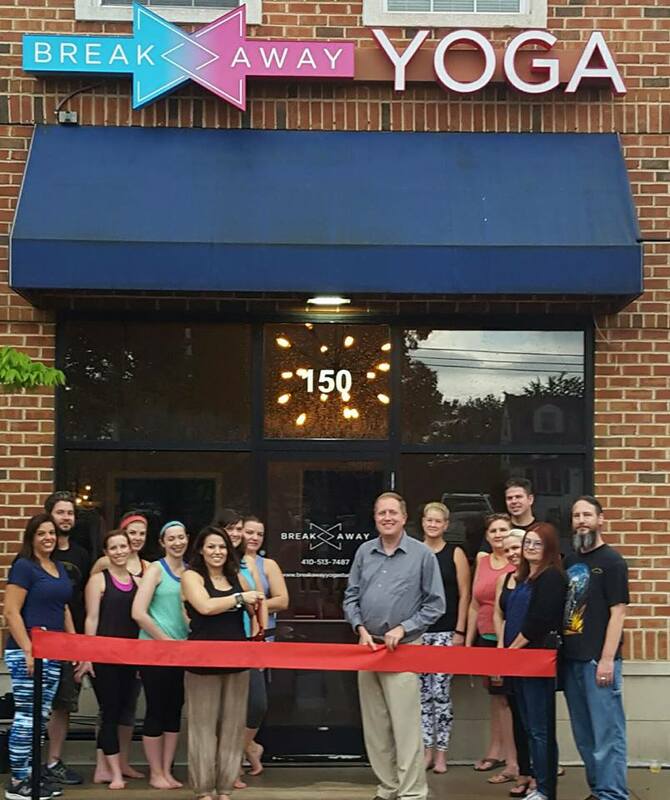 There’s a new yoga studio in Carney/Perry Hall. BreakAway Yoga Studio held a ribbon-cutting ceremony on Friday evening to celebrate its grand opening. the new studio is located at 3615 E. Joppa Road in the Main Street Joppa Road Shopping Center near Simms Avenue. Classes include Vinyasa Yoga, Hot Yoga, Yin/Restorative, Yoga Sculpt, and more. For a full list of classes available at BreakAway Yoga Studio, click here.